Xingqun here. Sorry for the radio silence after the Shen Mingzhi short story. 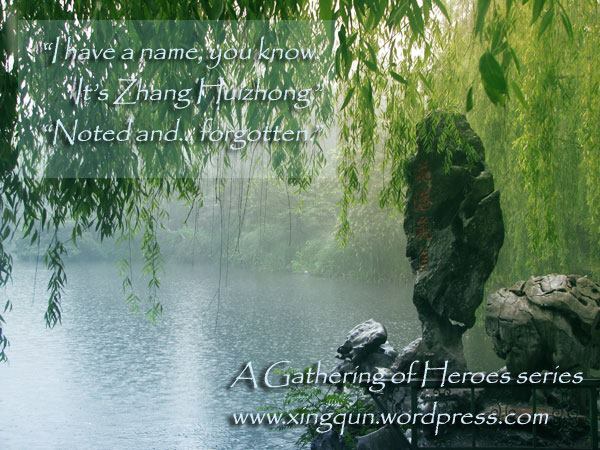 If you have not noticed, there is a new banner featuring Zhang Huiliang and some snowdrop flowers. In the language of flowers, a snowdrop (Galanthus nivalis) represents purity, hope, rebirth, or consolation. All of which fit Zhang Huiliang’s character. Her name means “wise and good.” You can find the full piece in the Gallery. I plan on completing more character portraits with their respective flowers. Taki, in the meantime, is working on her short story about the Baoxing incident. An ominous presence is in the air. Will the heroes stop this impending doom? 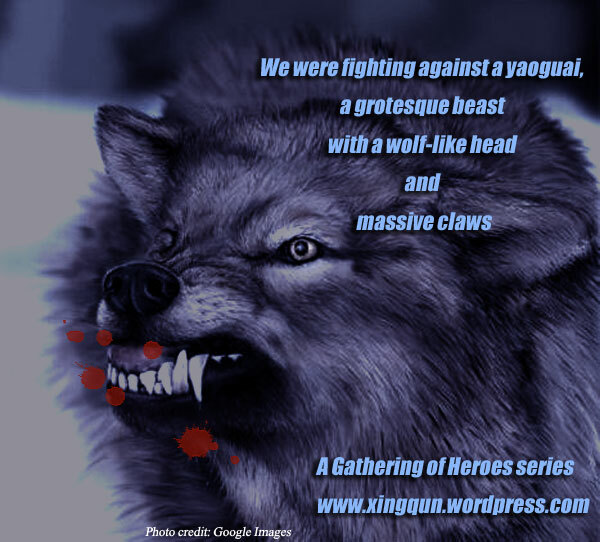 Find out more when the light wuxia fantasy series, A Gathering of Heroes, by Xingki is live on Sunday September 2nd! 3 days left! Who is having this nightmare? Just what is happening? 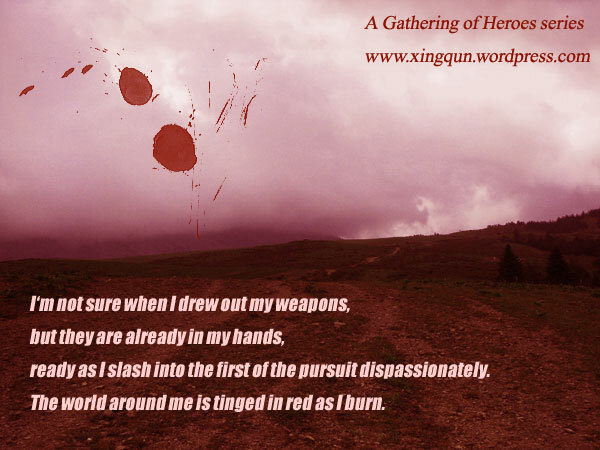 Find out more when the light wuxia fantasy series, A Gathering of Heroes, by Xingki is live on Sunday September 2nd! 4 days left! Who is “Meat Shield”? Maybe it’s the alias of a certain someone. 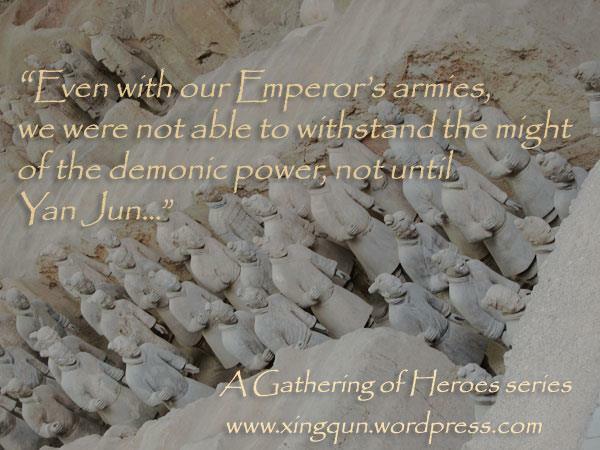 Find out more when the light wuxia fantasy series, A Gathering of Heroes, by Xingki is live on Sunday September 2nd! 5 days left! Who are these characters? 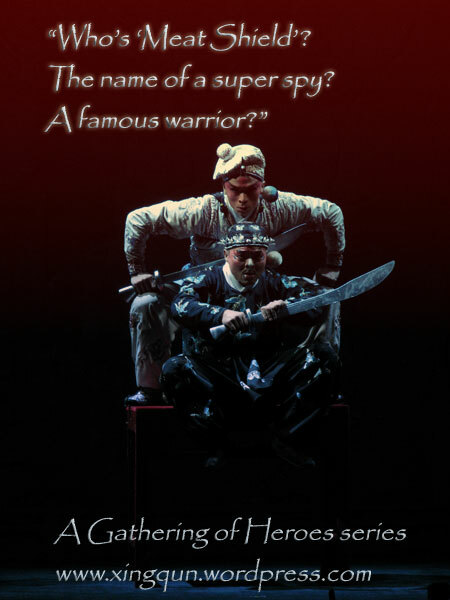 When Zhang Huizhong and Li Chunfeng first meet, they are not really the best of friends. Will they ever get along? Or, even have a civil conversation? 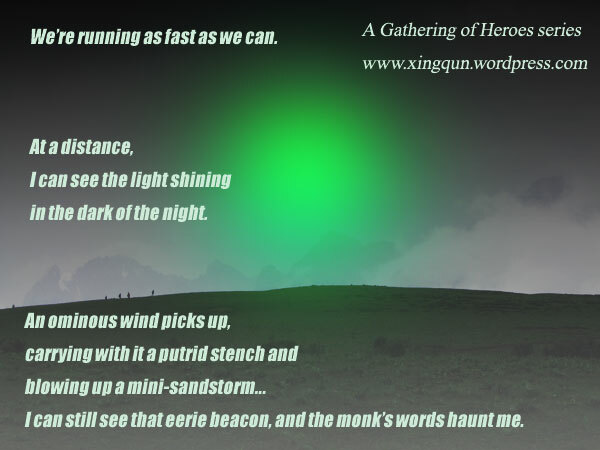 The long awaited light wuxia fantasy series, A Gathering of Heroes, will be live on Sunday September 2nd! 6 days left! The long awaited light wuxia fantasy series, A Gathering of Heroes, will be live on Sunday September 2nd! Let the countdown begin! 9.2.18 – A Gathering of Heroes: Anhu feat is live! Double update!